A fox swaddle, diaper wipe warmer, book on quantum physics, and 24 other things the baby in your life *definitely* deserves. 1. A book on quantum physics for when you've read Goodnight Moon 13 times in the last 13 nights and you've decided they're ready for something *slightly* more advanced. You read that right, quantum physics... for babies. This book is gonna teach your 13-month-old more about science than you learned through all of senior year of high school (although to be fair, we spent more time in the school parking lot than in the classroom by that point). This funny book is written by an expert in quantum physics who is smart enough to write about insanely complex ideas in terms simple enough for, well, a baby. With minimalist illustrations that will capture baby's attention, this book gives an introduction to how matter and energy interact on an atomic level. Whether you're gearing your child scientist up for a life in the field or grabbing this book because the cover is funny, you're going to love it. And your baby will, too. 2. A colorful onesie so your kid can look choco-lit all day long. 3. A pack of organic blueberry and fig teething wafers that'll ease their gums and give them a palate as sophisticated as Alton Brown's. Includes six boxes with 18 individually wrapped wafer packets each. 4. A knitted fox swaddle to embrace your love for Wes Anderson films with your very own Fantastic Mr. Fox. 5. A WiFi baby monitor so you can easily see and communicate with your baby from your phone (and so you can have a robot that's almost as cute as your baby). Free iOS and Android applications mean you can check on your cute mini-you from your PC, iPhone, iPod Touch, and iPad. The high definition camera has a 360 degree pan and 110 degree tilt with clear night vision. It can play recorded music (including your own voice singing your bb's favorite song... anything by One Direction) and has two-way communication so you can reassure your little one from wherever you are. 6. A diaper wipe warmer that's sure to soothe your sweetheart and help keep their cheeks clean. 7. A baby walker that'll adjust to your kiddo's abilities almost up to the time when they get their driver's permit. 8. 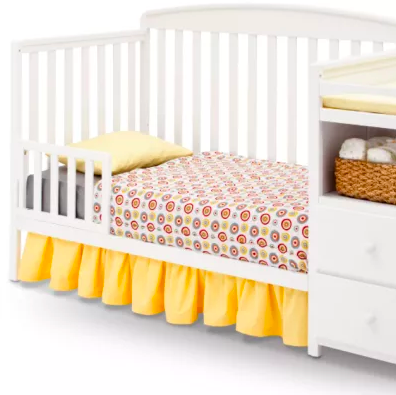 A adjustable crib with an attached changing/storage station that converts into a toddler bed and a love seat to adjust and grow alongside your kiddo. 9. A mesh fresh food feeder for introducing your little one to the joys of roast beef without actually having to chew it (jealous). 10. A clip-on stroller fan that's gonna keep your baby cool so you can stay outside all summer. 11. A diaper organizer sure to efficiently (and adorably) store your baby's bottoms...we're not lion. 12. And a onesie that'll conveniently say what their diaper is thinking. 13. 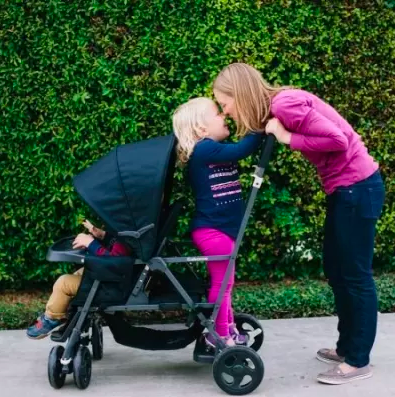 A stand-on stroller — it'll be a lifesaver for any parent with an active toddler and a napping baby when all you need is a break from the house and a walk around the block. 14. A pair of shoes for when your baby decides it's time to start monkeying around. 15. A bottle warmer that's prepped to make your baby a drink with even more specifications than the ones you order at Starbucks. 16. 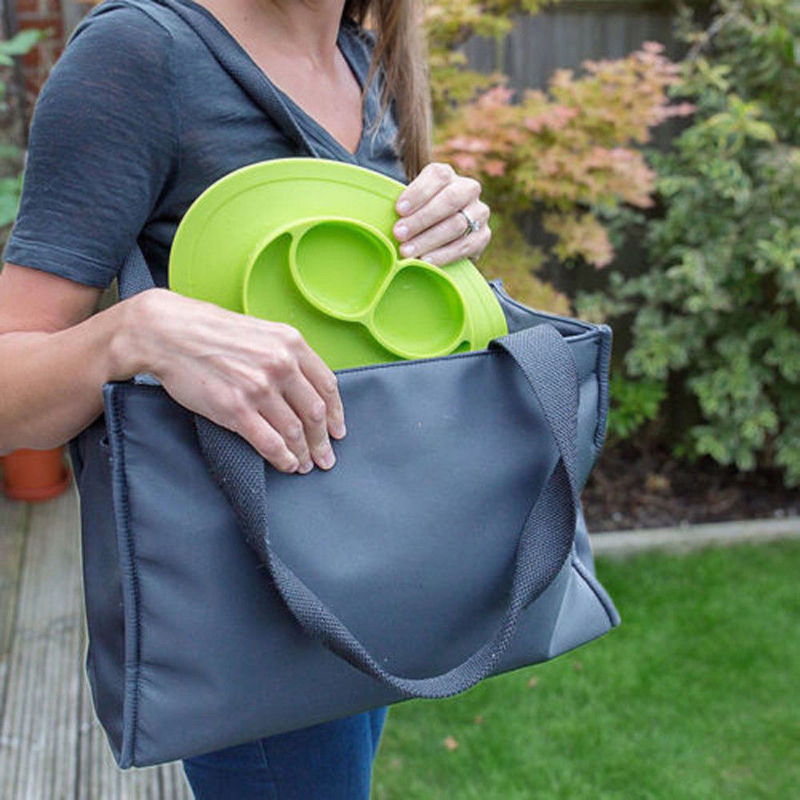 A multi-use wrap that's gonna have your kiddo covered (literally) in almost any situation. 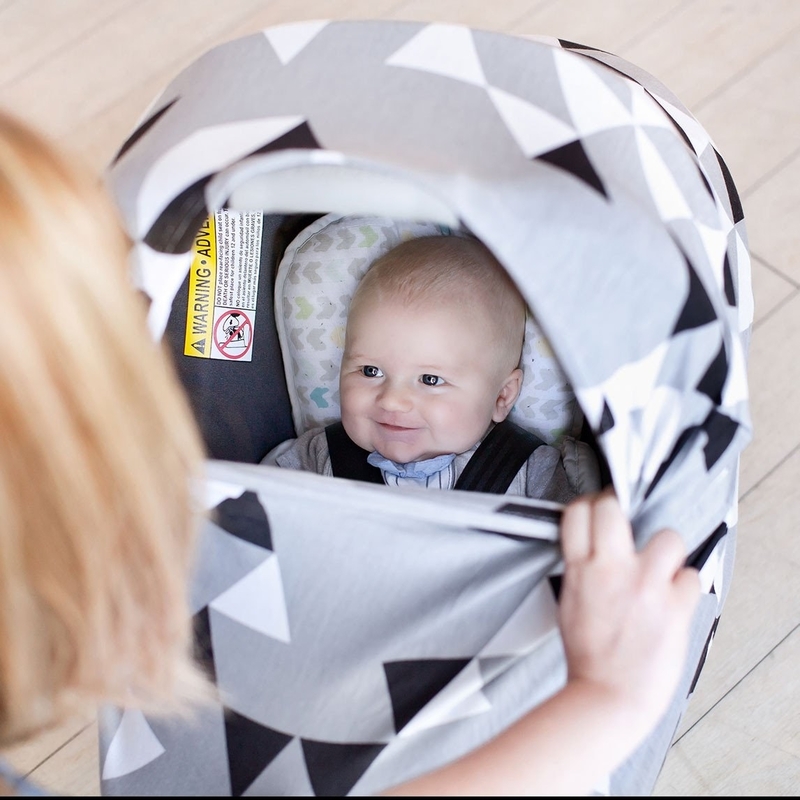 Although this thing will basically fit over anything you want it to, it's specifically made to be used as a nursing cover, car seat canopy, and a shopping cart/high chair cover. 17. 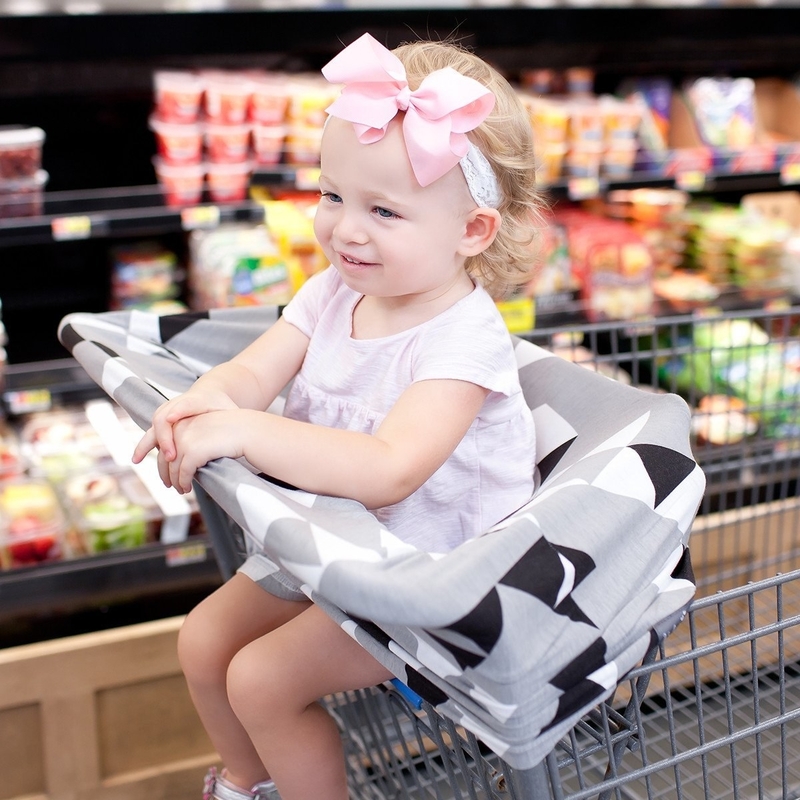 An eating and activity seat to make your baby feel like they're at Disneyland (because they're a baby and won't know the difference). 18. A baby shusher to calmly quiet your baby in a way your exhausted voice simply can't manage during your sleepless 4am feeding shift. 19. A duck tub that'll make bathing a breeze for babies who are too big for the sink and too small for the tub. 20. A baby mirror so your ridiculously cute kid can start finding their good side for all the selfies they're sure to be taking in no time! 21. A print kit to keep your baby's picture-perfect prints around forever. It may be ink-free, but we still have an ink-ling you're gonna love this one. This kit includes a non-toxic ink pad and two imprint cards and it involves no direct contact with ink at all... bathtime is hard enough as it is. 22. 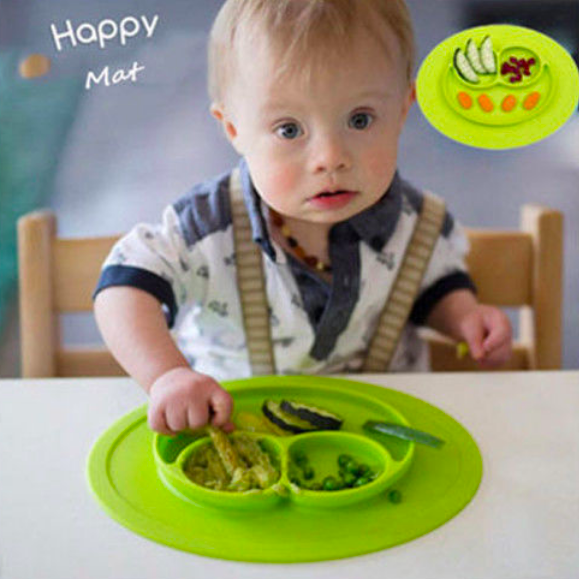 A silicone food tray that'll (finally) keep your kiddo's food in place long enough to get it in their mouth. 23. A WubbaNub (which many babies are basically more attached to than their umbilical cords) — it's the holy grail of baby toys and will keep your little one cuddled and comforted 24/7. 24. A set of star decals for making any nursery space shine. Includes three sheets with twelve stars of varying sizes each. 25. 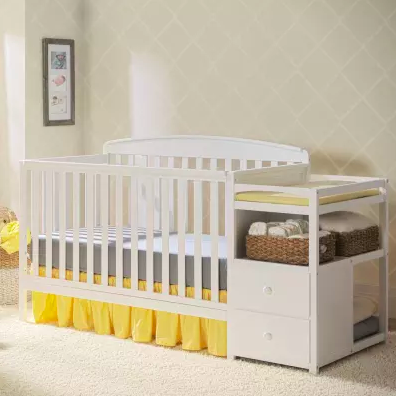 A baby swing that'll truly rock your world when you need some help simply getting into the swing of things when it comes to soothing your baby. 26. A turtle activity gym so cute, it's something you're simply gonna have to ~sea~ to believe. This set includes 40 colorful balls that can be stored in the turtle's li'l noggin. 27. And a bath lotus that's sure to help your baby smell fresh as a daisy. Now go enjoy some bonding time with your favorite baby!